Former world champion Kimi Raikkonen is set to leave Ferrari at the end of 2018, the Italian Formula One team said in a statement on Tuesday. “Scuderia Ferrari announces that, at the end of the 2018 season, Kimi Raikkonen will step down from his current role. “During these years, Kimi's contribution to the team, both as a driver and on account of his human qualities, has been fundamental. He played a decisive role in the team's growth and was, at the same time, always a great team player. “As a World Champion for Scuderia Ferrari, he will always be part of the Team's history and family. We thank Kimi for all of this and wish him and his family a prosperous future,” the Scuderia Ferrari team said in the statement. Sauber, meanwhile, confirmed that Raikkonen will move to the Swiss Formula One team in 2019. “The Alfa Romeo Sauber F1 Team is delighted to announce that Kimi Raikkonen will join the team from 2019,” Sauber said. The 38-year-old former champion has signed for two seasons with Sauber. Two years after winning the world championship with Ferrari in 2007, Raikkonen had left F1 to join the World Rally Championship. 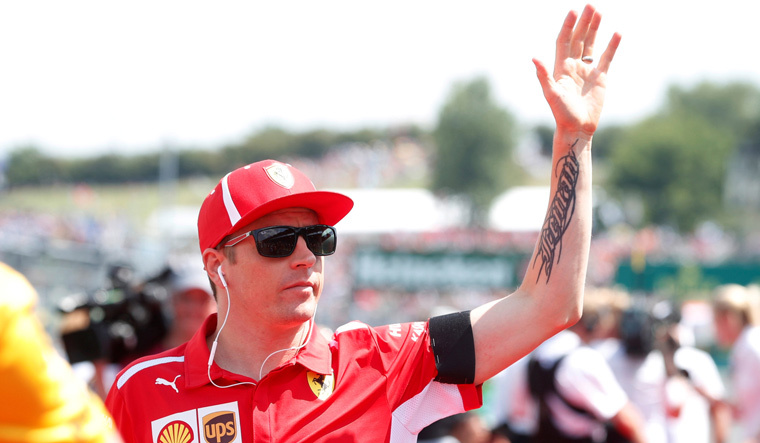 He returned to Formula One with Lotus in 2012, and rejoined ferrari in 2014. Raikkonen, who made his debut in F1 with Sauber in 2001, has started 287 grands prix, out of which he won 20.